Frame3DD is free open-source software for static and dynamic structural analysis of 2D and 3D frames and trusses with elastic and geometric stiffness. 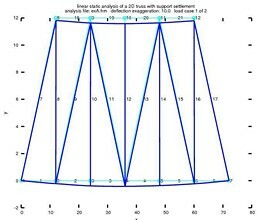 It computes the static deflections, reactions, internal element forces, natural frequencies, mode shapes and modal participation factors of two- and three- dimensional elastic structures using direct stiffness and mass assembly. Frame3DD has its own text-file input format (. 3dd), but additionally supports matlab (. m) and spreadsheet (. csv) file formats, and offers graphical output including mode shape animation via Gnuplot version 4. 2. The program is written in plain ANSI C. The source code includes: frame analysis, LDL' decomposition, LU decomposition, Newton-Raphson iteration, sub-space iteration, Stodola iteration, Sturm eigenvalue check, static condensation, Guyan reduction, and dynamic condensation. Included in the program is a parser for Microstran . ARC files. Currently, we are able to load and view exported Microstran models, and we plan to incorporate ". ARC" as an alternative input format. © 1992-2011 Henri P. Gavin. Verbatim copying and distribution is permitted in any medium, provided this notice is preserved. * FRAME3DD download link provides freeware version of the software. 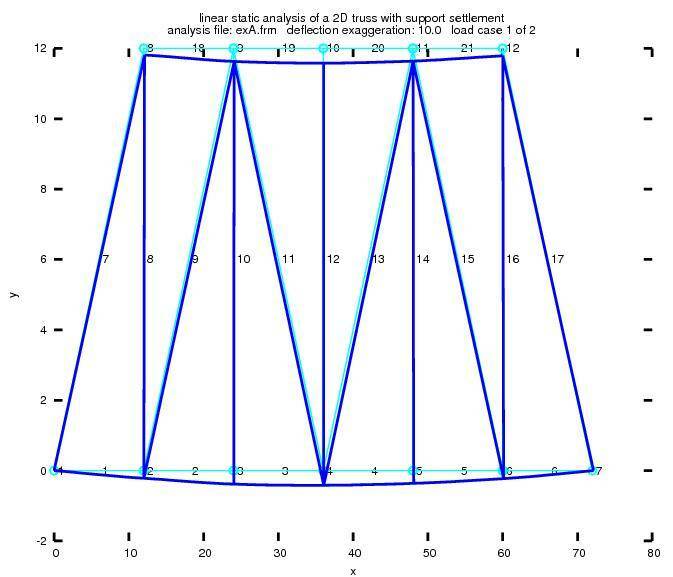 STRAP ia a Windows based suite of finite element static and dynamic analysis programs for buildings, bridges and other structures. No one has rated FRAME3DD yet. Be the first to rate this product.